Best known in the trenches as co-founder of the Savage Society collective, the almighty Blankface drops some heavyweight love on NSD: Black Label in the form of an anabolic four-tracker. While all the bits will have you and the squad chomping at the bit, the title cut, “Quality Control,” is where it’s at as Blankface shreds in top form. The tune opens with an eerie announcement from the “emergency broadcast system” that warns of an infectious agent spreading throughout the populace, but be sure to heed the warning as the cut is designed to induce a full-on zombie apocalypse on the dancefloor. Perfect for the riddim choppers and rail-riders alike, we’re stoked to be able to not only offer up a premiere of this beast but to sit down with the beastmaster himself for a glimpse into the dark vibes he’s kicking on this EP and beyond. We’re stoked to be premiering “Quality Control,” the title track from your new EP! How did you get the idea for the quality control/virus outbreak theme? Thanks! So essentially I was watching a zombie film and I came to the conclusion that I want to incorporate that exact vibe/theme into one of my songs. I found the perfect sample and slapped it on the tune. Fun fact: Kevin from BloodThinnerz helped me name the track. I’m terrible at picking names. Tell us a little about the creation process for the EP. The ups, the downs, how it all came together. I like each song to have its own identity. All of the songs on the EP were made at different times. I gather so many different inspirations; one day I’ll listen to old-school dubstep and then another I’ll listen to the newer stuff. It all depends on my mood and what I’m feeling, to be honest. But I’m happy with the way it came out! The NSD team had wanted something from me for a while, but I just had to wait until I had gathered all the right material. You’ve recruited Dabow and Decimate to join you on the EP. How did you end up working with these guys? I’ve known Dabow for a very long time; his first alias was called Wobad. He used to be part of Savage Society in the early days and we’ve stay connected since. Decimate and I go way back as well, they would always send me music and come to my shows. Music aside, we became good friends so it panned out pretty well. What’s your favorite track from the EP and why? Oh come on, that’s so hard! I love them all! [Laughs] I’d have to go with the Decimate collab right now, though. We made that in my room in a day. I like working on songs with people in person. Plus, we bounce ideas and work really well with each other. 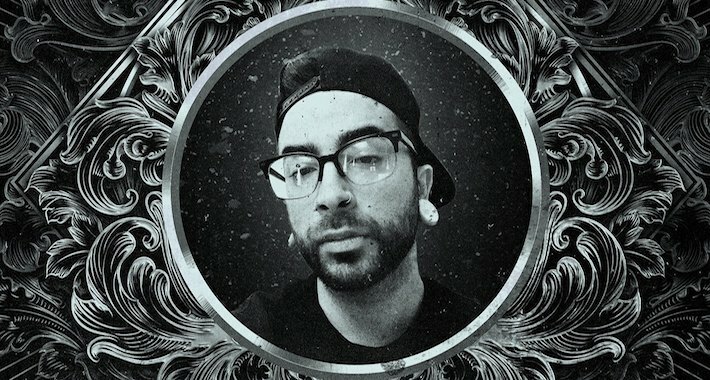 What else can we expect from the Blankface project over the next few months? Definitely another EP later in the year. I’ve got a remix that I’m going start working on for “the godfather of riddim,” as some would say. But yeah, just more of everything. Yes, shout out to SKisM and the Never Say Die team for believing in this project. All my family, friends and fans supporting. Love y’all! Blankface’s Quality Control EP is out now via NSD: Black Label so lock yours in here.